The Fruit of the Loom men's waffle thermal crew top delivers warmth outdoors, and cool comfort indoors. 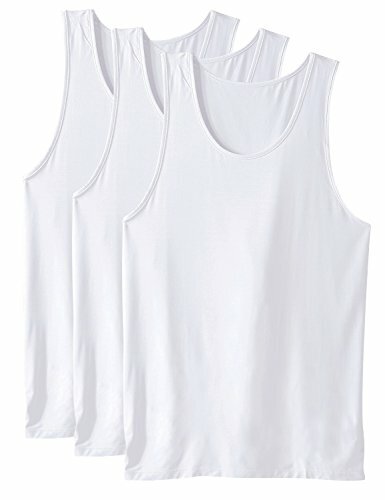 The mid weight cotton rich waffle fabric wicks away moisture to keep you comfortable, retains heat when you need it, and stretches for a better, more comfortable fit. 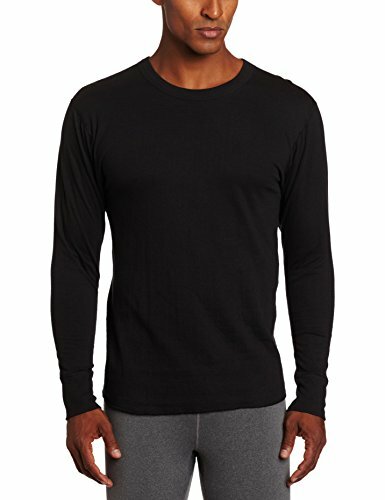 The ribbed cuffs have a touch of spandex so they stay snug on your wrists to keep out the cold, and the crew neck line is tag free for itch-free comfort. And it's made with the strength and durability you'd expect from Fruit of the Loom - smooth flat lock seams and sturdy seam construction mean this will be a perfect layering piece for many cold days to come. 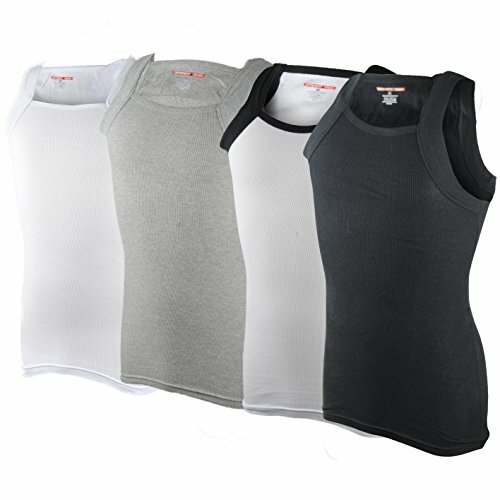 For the complete set, pair it with Fruit of the Loom men's classic mid weight thermal bottom. Fruit of the Loom was born in 1851 when brothers benjamin and Robert knight bought their first mill and started producing cotton cloth and textiles in warwick, rhode island. As one of the world's oldest brands, Fruit of the Loom is synonymous with providing quality, value and style. Staying true to our roots and close to our heritage, our collections are authentic, timeless and unmistakably Fruit of the Loom. 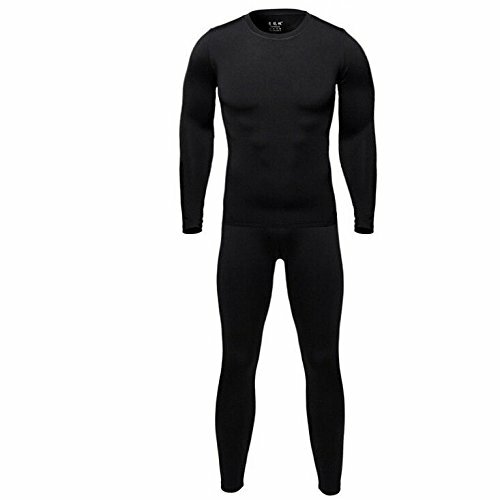 Indera's products of thermal underwear and winterweight rib underwear are available in various colors and styles for men, women, boys, and girls. 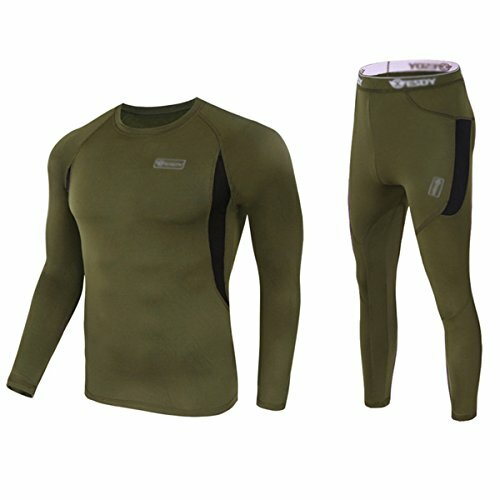 The diverse product line ensures those using the product will be comfortable in virtually any climate or weather condition. The Fruit of the Loom men's waffle thermal bottoms deliver warmth outdoors, and cool comfort indoors. The mid weight cotton rich waffle fabric wicks away moisture to keep you comfortable, retains heat when you need it, and stretches for a better, more comfortable fit. The ribbed cuffs have a touch of spandex so they stay snug on your ankles to keep out the cold, and the elastic waistband is tag free for itch-free comfort. And it's made with the strength and durability you'd expect from Fruit of the Loom - smooth flat lock seams and sturdy seam construction mean this will be a perfect layering piece for many cold days to come. 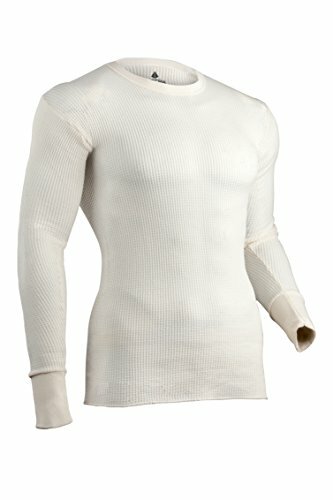 For the complete set, pair it with Fruit of the Loom men's classic mid weight thermal crew top. Machine washable; 60 percent cotton, 40 percent polyester. Fruit of the Loom was born in 1851 when brothers benjamin and Robert knight bought their first mill and started producing cotton cloth and textiles in warwick, rhode island. As one of the world's oldest brands, Fruit of the Loom is synonymous with providing quality, value and style. Staying true to our roots and close to our heritage, our collections are authentic, timeless and unmistakably Fruit of the Loom. 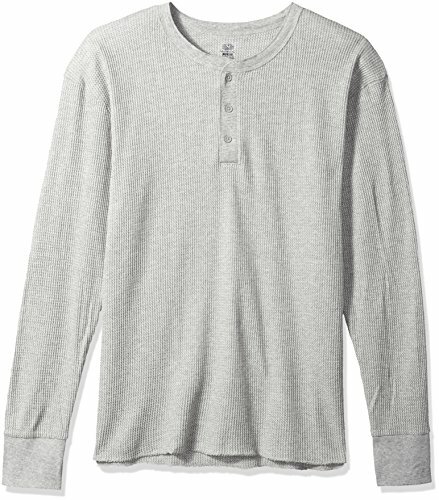 The Fruit of the Loom men's waffle thermal Henley top delivers warmth outdoors, and stylish cool comfort indoors. The mid weight cotton rich waffle fabric retains heat when you need it, and stretches for a better, more comfortable fit. The ribbed cuffs have a touch of spandex so they stay snug on your wrists to keep out the cold, and the button Henley neck line is tag free for itch-free comfort. And it's made with the strength and durability you'd expect from Fruit of the Loom - smooth flat lock seams and sturdy seam construction mean this will be a perfect layering piece for many cold days to come. Machine washable; 74 percent cotton, 26 percent polyester. Fruit of the Loom was born in 1851 when brothers Benjamin and Robert knight bought their first mill and started producing cotton cloth and textiles in Warwick, Rhode island. As one of the world's oldest brands, Fruit of the Loom is synonymous with providing quality, value and style. Staying true to our roots and close to our heritage, our collections are authentic, timeless and unmistakably Fruit of the Loom. 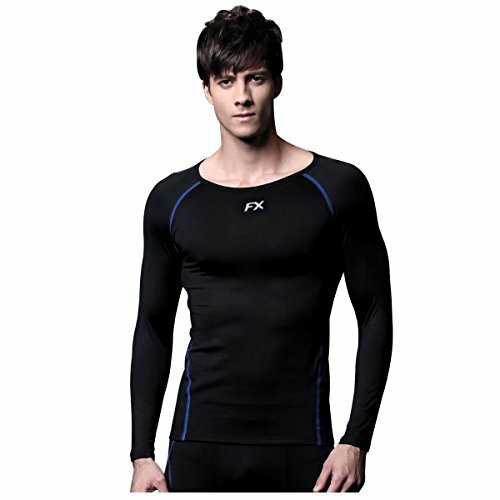 Copyright © Wholesalion.com 2019 - The Best Prices On Underwear Mens Tops Online.